We celebrated Fred's birthday with a dinner party. Bob and I visited the Stedelijk Museum. We saw the Tinguely exhibition and the Ed van der Elsken exhibition. Afterwards we had dinner at indian restaurant Bombay in Amsterdam. Be warned: when they say a dish is mild, they mean 'mild' in the indian sense of the word, not the way us Dutch would interpret it. I worked on my paper on the Tinguely exhibition. It took me longer than I had hoped and I still haven't finished it. 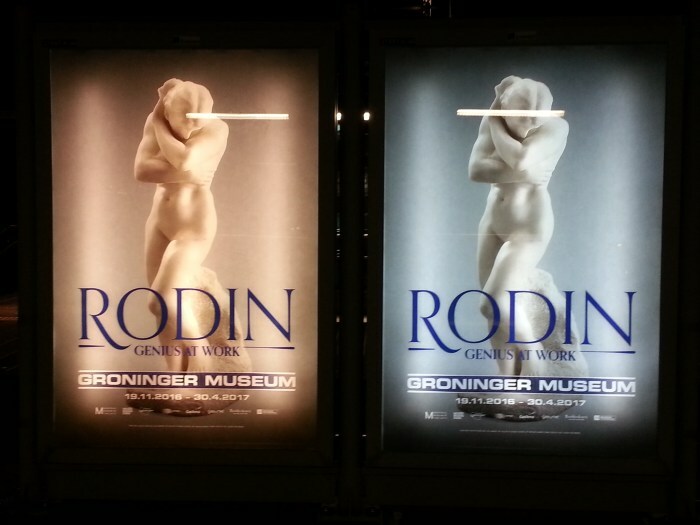 My internship at Stadsmuseum Zoetermeer continued. I caught up processing the results of the visitor research and wrote a sort of 'halfway report', sent out the digital newsletter, attended a few museum lessons for an elementary school class according to the plan I had helped come up with and took photo's of said lessons. I got to attend a presentation of the plans for the new museum to the city council. I kept paying weekly visits to my grandfather. He lives close to the Stadsmuseum so I usually have dinner at his place after working at the museum. I attended the Salon de Museology. This month's theme was how to get 'generation Z' to visit and enjoy your museum. Quite inspiring, so I got some ideas I presented to the people at the Stadsmuseum. B, J, Bram and I visited Amersfoort again to work on our puzzle walk. It's really coming together now! We had national elections. The results were not what I had hoped for, but it could have been worse. Afterwards, Bram and I grabbed some dinner at shoarma joint Jerusalem in Zoetermeer. I visited Roeland and Poes. Neighbour R joined us and we played Ticket to Ride. Bob, Bram and I saw 'Trainspotting' at Bob's place. After dinner the three of us headed to Leiden to see 'T2: trainspotting' at the cinema. The month ended with book week. I had saved a few bookstore gift cards for the occasion. I picked two books and an essay and got a free book with that. Life Bekijk de 0 reacties! / Check out the 0 comments! Geef je reactie op dit bericht! / Comment on this post! 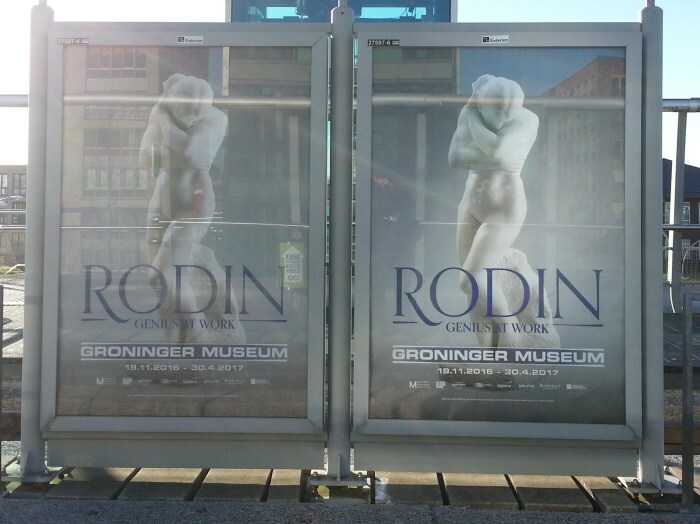 My internship at Stadsmuseum Zoetermeer continued. We had an event for the inhabitants of Zoetermeer to come and brainstorm about exhibition topics for the new museum, which was really fun and creative. I worked on processing the answers people gave in the exhibition and the questionnaires and helped with finetuning the plans for a museum lesson for the top two classes of elementary schools. I attended a conference at the Stedelijk Museum in Amsterdam about labyrinthine exhibition models. Exhausting but interesting, and useful for the paper I'm writing about the Tinguely exhibition. As Johan Cruyff put it: every disadvantage has its advantage. 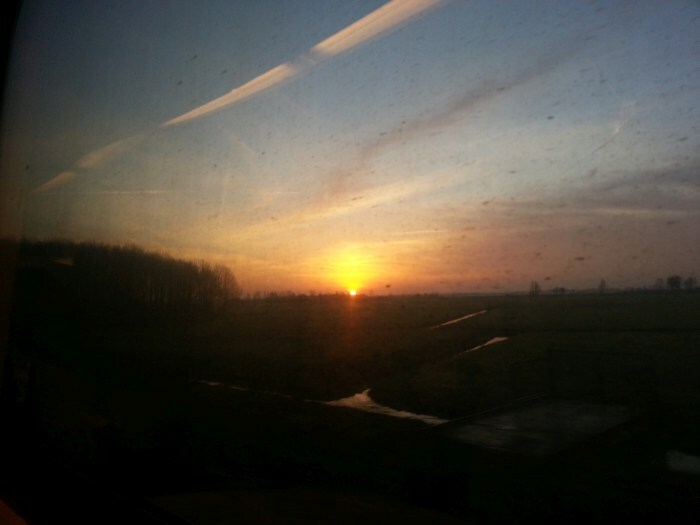 In this case: getting to see the sunrise during my train journey. Bram's sister Angelique had asked for outings as her christmas presents. So we obliged. The three of us visited Museum Sieboldhuis (a museum in Leiden about Japan). We saw two exhibitions and attended a workshop there. We made foam stamps and stamped them on furoshikis: cloths used in Japan for wrapping (and carrying) presents. The workshop was a bit simple to my liking but it was fun to take a whorkshop together. We had a valentine's date a couple of days before valentine's day. We saw 'Star wars: Rogue One' at the cinema and had dinner at greek restaurant Delphi in Zoetermeer. It snowed, which made for a nice walk around the city center of Leiden. We had dinner with Roeland to celebrate his birthday. I cooked us chicken korma with banana raita. Mark visited us in Leiden. We went to pool caf� 'The Church' and had dinner at Bram's place together. I visited my grandfather weekly. By the end of the month, he seemed to be doing a little better, at least healthwise. I succumbed for Marcel's pressure and attended a lecture Femke Kok (assistant professor at Open University) gave in Utrecht at a meeting of Firapeel, an association focused on medieval history. It was a lecture on the ideas of Thomas Aquinas about the soul. I attended the 'Salon de museolgie' on the influences of drama on the narrative and design of museum exhibitions. Interesting! Maarten and I used to enjoy 'Gilmore Girls' back in the day. We had a marathon with the full season of 'Gilmore Girls: a year in the life'. Bram and I visited Amersfoort. Our 'team mates' had worked on part of the puzzle route a couple weeks earlier (we had had to cancel that day due to health reasons) and we went to test it. With some shopping thrown in and, naturally, hot chocolate at Quetzal. I visited Eye for the first time. I saw the B�la Tarr exhibiton and quickly skimmed the permanent presentation. Then Marcel joined me for a showing of several short art-related documentaries by Ed van der Elsken (who filmed the two exhibitions Jean Tinguely helped organize at the Stedelijk Museum: Bewogen Beweging and Dylaby) and one by Hans C�rlis. We played with Marcel's new camera. I met up with Louis. He gave me a tour of the Buitenhof and we talked about his project which focuses on The Netherlands as a society of people. He has started a blog about it (in Dutch). Angelique and G treated us to a visit to the opera in Gouda. We went to see Dr. Miracle's last illusion. It's a compilation of pieces from different operas, held together by a story about a magician who kills women to learn more about death. While at Bram's, the cat dropped in. (He lives with one of the neighbours but enjoys visiting us, even though we don't feed him.) I hadn't seen him for a while. I had all kinds of productive plans for the afternoon, but ended up functioning as a lap to lay on. New year's day was a quiet day at home with Bram. Due to my flu, I was feeling too ill to go out. We wrapped christmas presents (we had postponed christmas with Bram's family due to health reasons), watched the Doctor Who christmas special, had 'andijviestamppot' for dinner (my birthday, my pick ;-) ) and watched Sherlock. I didn't really celebrate my birthday this year due to the circumstances. We had a meeting for the puzzle walk that we're organizing in Amersfoort this year. We made some progress and had (gluten free) puff pastry as a late birthday treat. I visited my grandfather. It was his 89th birthday, but of course he wasn't in a festive mood just ten days after my grandmother's death. My uncle was there, and a neighbour. I wasn't fully recovered from the nasty virus that I got down with just before christmas, so I spent several more days in bed. I kept coughing! Fortunately Maarten sent me two books by David Mitchell as a birthday present so I had something to read while resting. I'm still not fully recovered when it comes to my energy levels. Bram came down with the same virus. We had to cancel several plans during the month because of health reasons, booh! As soon as I was feeling a little better, I visited Bram a couple of times and brought groceries. We saw Sherlock together over dinner on the couch. I started working as an intern at Stadsmuseum Zoetermeer in a somewhat more regular fashion, and my internship plan was finally formally approved by the university. I helped come up with a lesson plan for school classes, went along to a meeting with digital designers who would design a newsletter template, sent out the newsletter when the design was ready and helped come up with questions for a pub quiz that were used for a new year's reception. Nevel a dull moment! ;-) I also worked on gathering the feedback visitors gave in the exhibition and the questionnaires, and wrote an article about the first month's results. I paid weekly visits to my grandpa. He misses my grandmother of course, and isn't used to being alone. So he's really happy to get visitors. I went to see the Tinguely exhibition at the Stedelijk Museum for the second time, and analyzed several aspects of the exhibition. I made a start at the review/paper I have to write about the exhibition. Roeland gave a lecture at the OU study center in Amsterdam, about his research into writer Simon Vestdijk's attitude towards the Germans in WW2, based on an analysis of one of Vestdijk's books and several related resources. I had heard him talk about it before of course, but not in such a structured, extended way. Rob came to visit me at the Stadsmuseum. I made him answer all the questions in the exhibition and fill out the questionnaire, of course. Afterwards we walked along the historical Dorpsstraat (the old main street from back when Zoetermeer was just a village) and had dinner at my grandpa's house. Maarten, Bram, Caroline and I visited Museum MORE. We saw a lovely sunset on our way there. Couldn't choose, so I had a bit of both ;-). We attended the celebration of Chinese new year in The Hague. I sort of collapsed while we were there so I didn't see a lot of it (I overestimated my energy reserves, which were still low due to the flu I'd had), but we saw some shows at city hall and saw the dragon dance. My guy is a tiger! We went to see 'Fantastic Beasts and how to find them' at the cinema. December 2016 was not the best of months. My grandmother died. And I caught a cold twice and spent about half of the month in bed. But there were fun outings and celebrations as well. Apart from my internship (which will earn me study points) I've made a small start on the 'research and analyses' module. It's actually a mandatory module, but it offers different options when it comes to topics and right now it's possible to do an analyses of the Tinguely-exhibition at the Stedelijk Museum, to which I paid a brief first visit. I went swimming and found out E swims there too. We had drinks afterwards. I spent some time crafting creative gift wrappings for Sinterklaas. During my first cold I worked from home a little, succumbed under Bob's bad influence and tried Elvenar, and worked on selecting which photo's to print for my albums. Bram came to visit me. I had to miss out on several fun outings/appointments, booh! Fortunately I felt a little better on Saturday the 10th, so I could attend the Midwinter Fair for part of the day. I hung out with Bram, Bob, Caroline and sometimes others as well. We listened to a story from Donderelf and to a couple of bands, saw the fire show and checked out some stalls. Each year the Dorpsstraat, the old main street from when Zoetermeer was just a village, has a 'Kaarsjesavond', candles night, with candles in all the store windows and all kinds of nice things happening. The Stadsmuseum participated; people could come in and see the small permanent exhibition, there were flashlight tours in the garden and in front of the building two Santa's were offering free hot chocolate to passers-by (and gl�hwein, until we found out sharing out alcohol wasn't allowed this year). Bram and I visited my grandparents. And the next week I visited again and helped my grandpa write their christmas cards. I attended the opening of the exhibition at the Stadsmuseum, and helped out a little. It was fun to see people react to the exhibition and to get to know the staff and volunteers a bit better. We attended the winter editon of Castlefest and spent part of our time there with Bob, Caroline and M. It's still the most demanding fantasy fair for my body with most of it outside in the cold and just one big tent where the music is too loud. There are few seats and pretty much all of them are outside. But we were lucky to find seats often, and Bram carried the folding chair we bought so I could be sure of a seat on occasions like these. We celebrated 'sinterkerst' (a mixture of sinterklaas and christmas) with Wilma, Fred, Maurice, Petra, Ayla, Joshua and his girlfriend. We did a secret santa-thing. I got two gift cards: one for books and one for an art supply store. And I gave Wilma a book about felting. Maarten and I had a boat tour of the water route of the Amsterdam Light Festival. Fun! We had planned to do the walking route as well, but had to cancel twice due to my colds. Yuck! My grandmother had a health scare with an ambulance involved. She got to go home the next day. A week later, she died. We burried her on the last day of the year. I caught another virus, a really nasty one, right before christmas. Bram wasn't feeling too well either but he came over to support me when we heard the news about my grandmother. We cancelled our plans with friends and postponed visiting with Brams family. The two of us did a tiny christmas celebration on boxing day, with a simple dinner in bed and a couple of presents. I got a book about museums and a big pack of watercolor paper. I didn't feel like celebrating right after the burial service for my grandmother, and I still felt quite ill and should have gone to bed afterwards. But we decided to stick to our plan to spend new years eve with Roeland and Bob and poes Poes at Roeland's place. I think the company was good for me. We had dinner together and played Ticket to Ride (Roeland won). After midnight we lighted some sparklers. I had turned 35. Bram promised me a weekend trip to Ghent, and Bob gave me a game: The legends of Andor; Chada & Thorn. Museums Bekijk de 0 reacties! / Check out the 0 comments! I started my internship at the local museum: Stadsmuseum Zoetermeer. I'm still awaiting official approval from the university, but I've already started my work there. I'll be conducting visitor research. Come and visit the exhibition that opens on December 16, and share your opinions and ideas during your visit! I studied very hard for my cultural heritage exam. I wasn't feeling too confident about how I did, so I was relieved when I found out I had gotten an 8 after all. Bram and I saw 'The Big Friendly Giant'. I visited my grandparents twice and went on a mission to get my grandmother new slippers. Van Veen Schoenen at the Dorpsstraat in Zoetermeer, where she's been a loyal customer for years, provided great service. I had dinner with some of the monthly filmnight peeps in The Hague but wasn't feeling well so didn't go to the cinema. We found out that 'Plein XIX' isn't the best place for dinner if you want to be able to have a conversation without shouting (LOUD music!) and they didn't bring my dinner until after one of the others had finished his (I told them to start so it wouldn't get cold). We travelled to Harlingen to attend the award ceremony where Roeland was given the Ina Damman Prize 2016. 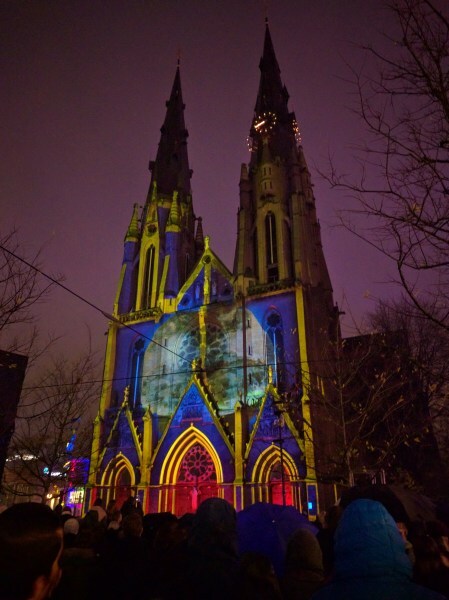 Maarten and I spent two days in Eindhoven to see light festival GLOW. We also saw light art at the Van Abbe Museum and went to the cinema to see Miss Peregine's Home for Peculiar Children. J hosted a movie marathon that we attended. We saw several Tim Burton-movies: Edward Scissorhands, The Nightmare Before Christmas, Big Fish, Beetlejuice and Abraham Lincoln, Vampire Hunter. It was nice to hang out! We visited Bram's family to celebrate his mother's birthday. I tried this cauliflower hummus recipe. I can't have regular hummus because of my stomach disorder, but had gotten curious about it. So when I came across this recipe I gave it a try. I did swap the crushed raw garlic out for chopped and fried garlic. I tried it with carrot sticks and Golden Delicious apple slices and liked the apple best. I spent a weekend in the South, visiting JK. We went geocaching in Maaseik, Belgium. JK had gotten a new GPS handheld and gave me his old one (which still works properly, just has less features) :-) We also visited the local museum of Maaseik. It was pretty cool for a small local museum. We saw a fun exhibition about the romans made of lego. We had dinner at an Indian restaurant just over the Dutch border in Germany. JK and I also visited Tilburg together. More geocaching and a visit to the Textielmuseum. Maximus Brickius, the mascot of the lego exhibition. Bram, Bob and I visited Naturalis Biodiversity Center, Leiden's natural history museum, to see their T-rex exhibition. After dinner we played Legends of Andor. Inspired by this watercolour note by Jaclyn Carter. I liked the rainbow colours. I used a cheap watercolour set for kids. I started playing with my Uni Posca markers on a black background and didn't know what I was going to draw. After a couple of shapes, it turned out my drawing was becoming a butterfly. The lettering above the drawing is ancient greek and says 'psych�', which means butterfly or soul. More Uni Posca markers on a black background. Don't remember where I got the idea but it was about drawing overlapping letters. I had wiped some left over green liquid watercolour paint off my brush onto a piece of cardstock. I accidentally spilled some water on it, but it was a happy accident. While I added eyes and teeth it became a little forest spirit. It reminds me of fire spirit Calcifer (from Studio Ghibli's 'Howls moving castle'). I spotted colour wheels at Kasia's blog, she was showing how she used colour wheel stamps from Everything Art. I decided to draw my own and play with a colour combination using Caran d'Ache Neocolor II watersoluble crayons. I made this feather drawing using colours from my colour wheel. I took two ATCs that I had painted with acrylic paint a while ago, and used a white marker to draw/write on them. The light bulbs were inspired by lightbulb themed scrapbook paper Shimelle Laine designed for American Crafts (the True Stories line). These cards will be a nice embellishment for my photo album pages about GLOW. Art Journalling Bekijk de 0 reacties! / Check out the 0 comments! I briefly visited the yearly historical market in Zoetermeer. There were stalls and at the market square knights squabbled and a bird demonstration took place. On my GP's orders I had to start eating wheat again for several weeks, after eating gluten free for over a year. It was neccesary to find out if I'm really allergic or if it's 'just' a sensitivity. I made a wishlist of everything I had missed and wanted to eat again. :-) Ah yes, hello pizza and proper roux-sauce! It did trigger symptoms but not as bad as last year. My blood test came out clean, so it's not an allergy but just a sensitivity. That's bad enough but means (if I understand correctly) there's no real damage done other than temporary symptoms when I eat something with gluten. I'm back to a gluten free diet now and will stick to that to avoid the not-so-fun symptoms, but knowing the consequenses are limited saves me a lot of stress about cross-contamination when eating out, yay! We visited M and played Zombicide and The Legends of Andor. Even though I spent some time living in Leiden part time, I had never celebrated 'Leids ontzet'. It's a local festival celebrating how Leiden was freed after a long siege by the Spaniards in the late 16th century. We spent some time at the funfair, where we snacked on an oliebol/berliner bol. We got totally drenched by heavy rains while checking out the market. We had the traditional meal of 'hutspot' with 'klapstuk'. And we went to see the parade. We saw Star Trek: beyond. We visited Burger's Zoo with Martijn and his new girlfriend A. Afterwards we enjoyed an Indian dinner in Arnhem. 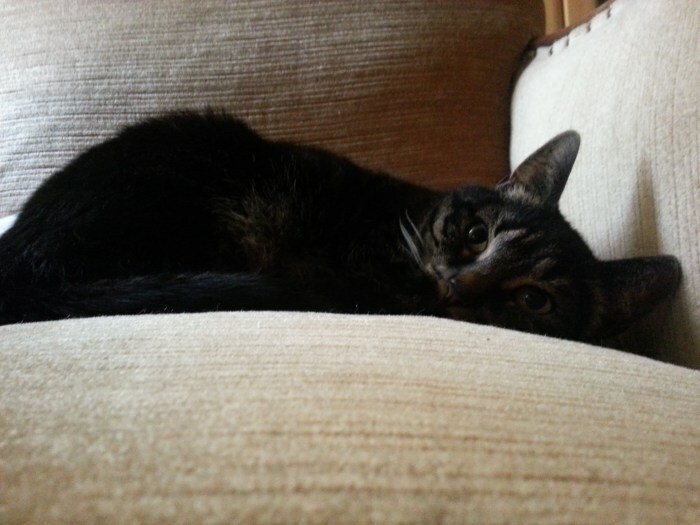 Marcel and I visited cat caf� Ditjes & Katjes. We visited the Viking market at the ruïne van Teylingen (ruins of Teylingen), where we met up with Bob, Caroline, Y and A. we checked out the market, listened to Kaunan and Sowulo and saw some fighting demonstrations. It was a nice, sunny day. Afterwards we had a greek dinner in Leiden with Bob. Remember I told you we had won the puzzle walk in Haarlem last May? In October we went to Amersfoort to get ideas for next year's walk, that our team has to organize. Bram and I visited Blijdorp zoo. I met up with Leo in Amersfoort. More ideas for the puzzle walk, a visit to chocolate caf� Quetzal (a chain I knew from Belgium that has now made it's way to the Netherlands), and just hanging out and catching up. 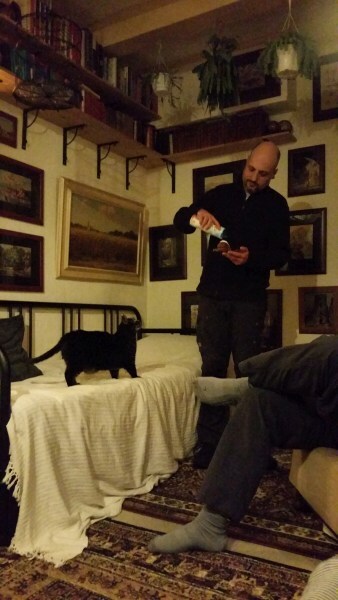 I spent several days looking after poes Poes while Roeland was traveling. During those days I came down with a severe cold. I spent lots of time in bed with Poes and the book 'A little life' by Hanya Yanagihara. Roeland's place is just minutes away from Bram's, so before my cold got too bad, I managed to get myself to Bram's couch where I wrapped myself in a blanket and we saw two movies: 'The hours' and 'Dune'. I reached out to Stadsmuseum Zoetermeer and was invited to come talk about an internship. Crossing my fingers that the university will approve the plan! Catching a cold messed up my study planning (as usual). I worked on Cultural Heritage, for which the exam was approaching rapidly. 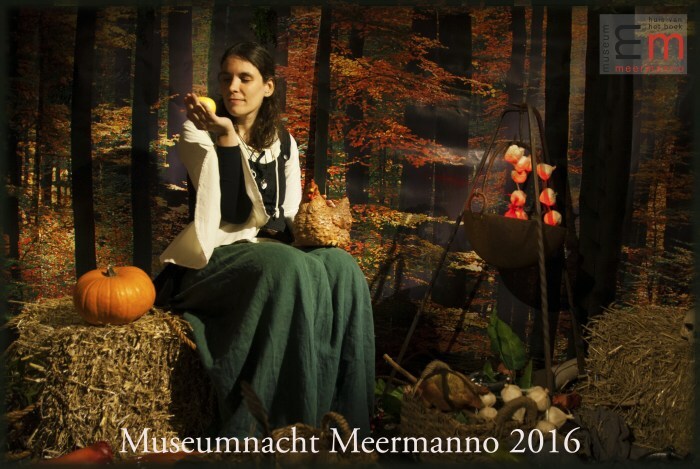 I volunteerd at Museum Meermanno during Museum Night, welcoming people at the door. I also got a chance to check out some of the activities the museum offered. 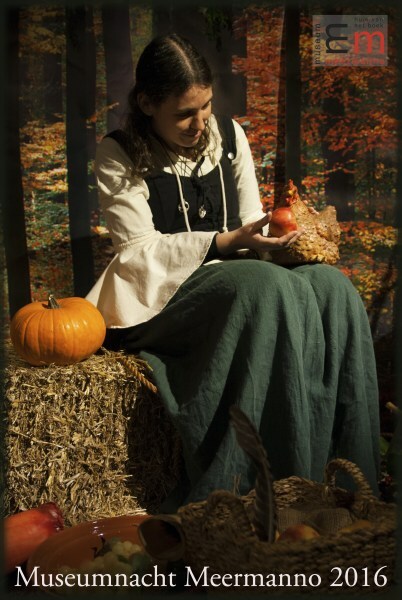 I had a confession session with a peculiar 'priest', had an indulgence printed and posed for photographs with a (fake, of course) chicken. Such a fun event! Someone from 'Stichting Draailier en Doedelzak' came to play the hurdy-gurdy (draailier). I love that instrument. Would love to be able to take lessons with this nonprofit and learn to play it properly. Bram and I visited Blijdorp Zoo again. This time we brought drawing supplies. Looks like my roof terrace-snails have been busy making baby snails. Life Museums Bekijk de 0 reacties! / Check out the 0 comments!